If you've been looking for a way to save money AND have some ADDITION Spring Activities FUN, this is the download for you. You'll get FIVE of my spring math puzzles - rainbows, bees, raindrops, flowers, and butterflies. These are sure to be a hit with your 1st, 2nd, or 3rd grade elementary students. 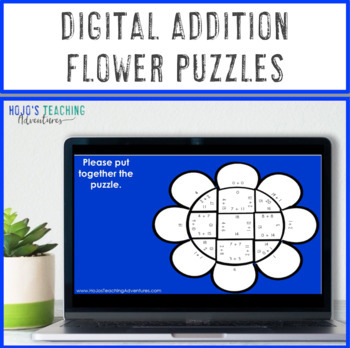 These Flower Addition math puzzles make it quick and easy for teachers to provide hands on games that meet the needs of all students. 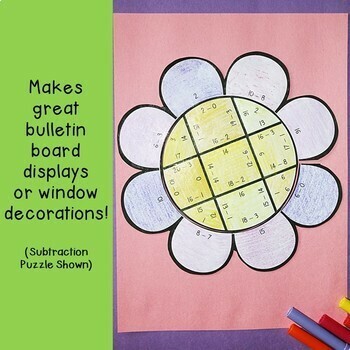 Use them for spring math centers. They work great as activities, stations, or games. 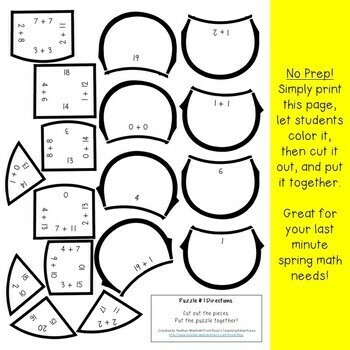 With a no prep option - these are the perfect last minute resource for your 1st, 2nd, or 3rd grade students! This resource is available in my Addition Holiday & Seasonal Math Centers Bundle.You can save over 30% and get resources for use throughout the school year. • I enjoyed how it challenged my students in the classroom! They were always excited to see what the "hidden" object was going to be. 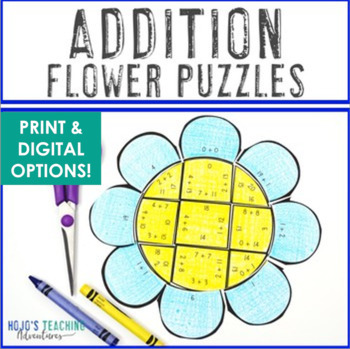 •These cute flower puzzles were so engaging, even for the boys! They loved doing these with a partner and competing with another pair that was trying to solve a different flower puzzle. The pair finished first was the "winner."